Last spring was a bumper season for bogong moths. Each morning when I opened the sliding door, dozens would drop from the doorframe onto the deck where my small fluffy dog gleefully batted and snapped at them till they fell through the cracks. Apparently bogongs pulse every few years, and to me this seemed a serendipitous omen. This is because it coincided with the release of my third novel, The Grass Castle, a contemporary story about friendship and family, threaded with the history of the Indigenous moth-hunters and pastoral settlers of the Brindabella Mountains. 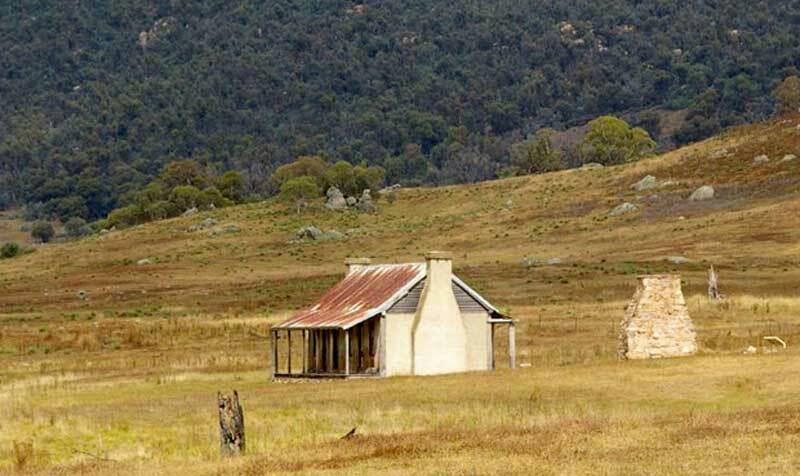 The idea for the book came to me on the veranda of an historic slab homestead in Orroral Valley within the Namadgi National Park south of Canberra. I was taking a break from observing kangaroos as part of an ecological research project. It was a grey day with a chill mountain wind, the sky was menacing, and the door of the homestead was creaking and groaning, the wind gushing under the eaves. I began to imagine how it must have been to live in this place in times past when town was a few days away by horse and cart. There would have been no running water, wood would have been cut and carted from the forest upslope from the valley, and the women would have spent their time caring for children, preparing food and carrying out a multitude of other daily tasks while the men were working the cattle and horses. Inside the old homestead, I discovered decayed sheets of aged yellowed newspaper lining the walls. This must have been plastered over the cracks between the slabs to block the wind. Dating back to the 1920s, it was fascinating reading. There were products being advertised that don’t exist anymore, and the language was very old English, the photos of women like movie stars in the films my parents used to watch. Back out on the veranda, I contemplated how isolated the early settlers must have been: snow in winter, no help during childbirth, cut off during floods, short on fresh food. Here began the ideas for my fictional character Daphne, the daughter of a pastoralist whose ancestors had been settlers in this valley. With my interest piqued, I went home and began to dig out books on the history of the region. One of the great joys of writing a novel is researching the foundation for the story. The tricky bit is working out how much detail to include without detracting from the plot. In fiction, the research should support the story, but not burden it. Doing the research is the fun part, but in the end nobody wants to wade through pages of dry facts unless they are woven into a story that carries the reader along. Uncovering the history of the moth hunters and the stories of the settlers and subsequent generations of landholders provided the backbone to Daphne’s tale of life in the mountains. I incorporated details where they added to the story, and often made my own embellishments or adjustments to fit the plot. One of the first books I sourced was Josephine Flood’s wonderful little paperback: Moth-Hunters of the Australian Capital Territory: Aboriginal traditional life in the Canberra region. What a gem: small, but packed full of information. It was here that I learned how, prior to white settlement, Aborigines from the mountains and the plains beyond would migrate to the high country in spring to harvest moths. Women and children would prepare the cooking-fires, while the men climbed the scabby peaks to collect moths from the crevices between granite boulders. When I first heard of Aboriginal people feasting on moths, I imagined the moths must be a bit like witchetty grubs with wings: large and fat. But bogong moths are quite small, their bodies about 2-2.5cm long, and they are brownish-grey and quite nondescript. Using a stick, Indigenous people used to scrape them off the rock walls where they accumulated like a carpet of fur. They would gather the moths onto a bark carrying dish (coolamon) or into a dilly-bag made from plant fibres. Back at camp, the wings were plucked off and then the moths were cooked on large flat rocks heated by hot coals. Apparently they tasted like roasted chestnuts and were a rich source of protein. Often the Aborigines would grind up roasted moths and make them into patties which were easy to carry. The social meetings of Aborigines in the mountains also were important for ceremonial life, initiation and trade of items, such as grinding stones, tools and ochres. There are several rock art sites in the Brindabella mountains where Indigenous people used these ochres to paint pictures of the animals they hunted. Artefacts found at these sites and other rock shelters indicate that Aboriginal people have inhabited the region for 21,000 years. So how do you insert this kind of information into a work of fiction, especially within the framework of a contemporary tale? In The Grass Castle, Daphne is a gentle eighty-six year old great-grandmother living in a modern world, but still grieving for her husband and the life they once shared on the land. I was able to weave her experiences of the mountains and her knowledge of the local Aborigines into the story by using flashbacks triggered by present events. I also used her childhood friendship with an Aboriginal stockman to convey information about the Indigenous history of the region, including the story of the moth hunters. The settlement of the Brindabella mountains was another historical pot brimming with stories. In Bruce Moore’s Cotter Country, I learned about Garrett Cotter, an Irish convict transported to Australia for ‘firing on His Majesty’s troops’. As a convict, Cotter worked for a landholder called Kenny near Lake George, NSW, until he was accused of stealing a horse from the owner of a neighbouring property. This was thrown out in court due to lack of evidence, but on the basis of another matter, Cotter was banished to the western side of the Murrumbidgee River. There he lived as a bushman for some years, building on a prior friendship with a local Aboriginal tribal chief called Onyong, until he later received a pardon. Cotter’s story is not included in The Grass Castle. However, in talking to people about the history of the region arising from discussions of my book, a wonderful insight into Cotter’s life with his family in the bush turned up. A delightful lady from a regional bookshop, whose husband is related to Garrett Cotter, shared with me a newspaper clipping from The Federal Capital Pioneer (Canberra, ACT : 1924 - 1926), Thursday 25 March 1926. Three daring spirits fired by the exploring feats of Hume, Hovell, and Mitchell, were miles away from civilisation, when they were startled by signs of habitation …, on looking, down into a gully, they saw children at play; on going down to investigate they found 'a man and a woman with their family living the simple life.' No house but the overhanging rocks, no clothes but what they made from reeds, bark, etc. ;their food they hunted for, and goats gave them milk. Other amazing anecdotes and insights into pastoral life in the mountains were uncovered in my reading of Matthew Higgins’s book: Rugged Beyond Imagination. I learned about rabbit-trappers working through a sea of bouncing rabbits during the plague of the 1920s-40s. I read how, during the cold of winter, settlers used to hang a side of beef from a shady tree, where the meat would keep for weeks, so long as it was protected from dingoes and dogs by trussing it up with hessian. I was taken on cattle-mustering trips and brumby hunts into the high country, accompanied sometimes by women. I read about blizzards and winters so cold, with snow so deep, not even the kangaroos could find food to survive the freeze. These things I threaded into Daphne’s story and her reflections on her life in the mountains. Sad tales are also found when a writer begins to delve into the past. In researching the fate of Aboriginal people from the mountains, I found a small but moving book of personal accounts by local Ngunnawal people. It was in this book that I discovered the extent of racism extended towards Indigenous people in the not-so-distant past. I hadn’t realised that a mission had existed for many years in the town of Yass under the dreadful misnomer of Hollywood. Here, displaced Aboriginal people lived without running water or power, on bare dirt, in shacks made from kerosene tins beaten flat which was the only resource they had from which to build homes. There was a curfew on access into town, and Aboriginal people were removed if they broke this rule. In the hospital, they were not allowed to cross a white line painted on the floor, beyond which only white people were allowed. Children were not permitted to catch the bus to school with white children. At the cinema, black people were only admitted by the rear doors and they had to sit down the back. I was so moved by these stories I wanted to incorporate some sense of the past attitudes of our society in my novel. 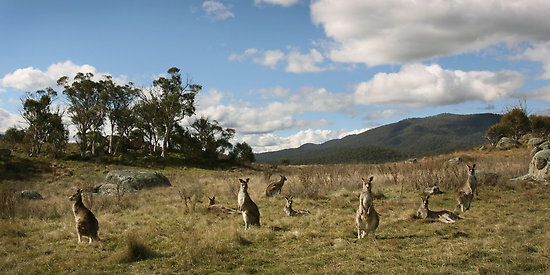 There were also interesting parallels between the displacement of Indigenous people by pioneers during white settlement of the mountains in the 1800s, and the removal of farmers from their properties due to government resumption of land during the space race followed by the gazetting of Namadgi National Park in the 1960s and 70s. When the National Park was established, buildings which were not sufficiently old to qualify for heritage listing were pulled down, causing further hurt for the displaced families. Exploring the concept of spiritual bonds with the land as well as the impact of disconnection from country became an important theme of The Grass Castle. I love the sleuthing and learning involved in the background reading for my novels, but not all people have the time and patience to work through details in historical texts or accounts. Hopefully, this is where a fiction author like me can help to increase interest in history, so that history and fiction can become entwined and feed positively into each other. Then perhaps people will go on their own journeys of historical discovery. Flood, J. (1996) Moth Hunters of the Australian Capital Territory. Aboriginal Traditional Life in the Canberra Region. JM Flood, Canberra ACT. Higgins, M. (2009) Rugged Beyond Imagination. Stories from an Australian Mountain Region. National Museum of Australia Press, Canberra, ACT. Moore, B. (1999) Cotter Country. Lyneham ACT, Greg Moore.